If you have a salaried position, you well know that you can work 50 or 60 hours a week and not get paid a dime – and that’s perfectly legal. Whereas if you are paid by the hour, you will get paid time and a half when you work over 40 hours a week. But thanks to a new rule passed by the Department of Labor (DOL), many salaried employees will soon be able to collect overtime pay when they work those extra hours. The deadline for the changes to go into effect is Dec. 1 of this year. Be paid a salary. The income must be predetermined and fixed. The employee’s income must not able to be reduced because an employee doesn’t meet certain quotas or provide a certain quality of work. Be paid a minimum income. Not all salaried employees are exempt from being paid overtime. Employees must make a minimum of $455 per week, or $23,660 per year. Perform certain duties. Employees who serve in executive, administrative and professional roles can be exempt from overtime pay. High-level employees like executives who make more than $100,000 or more per year are also exempt. Regulations on overtime pay were established in 1940, and they were not updated again until 2004. The new changes will be the first update in more than a decade. Increased salary. Instead of making $455 a week, employees must now make a minimum of $913 per week, or $47,476 per year, to be exempt from the overtime rule. Employees must meet the weekly salary minimum, not just the annual income minimum. The rate will also be adjusted every three years after 2020. Bonus payments. Now employers can include bonus payments and commissions to meet the minimum salary requirements for their employees. Those incentive payments can only make up to 10 percent of the salary requirement for the exemption. If these include nondiscretionary payments that are not tied to profitability or productivity, they must be made at least quarterly to count. In other words, your annual Christmas bonus won’t count. Highly compensated employees. The minimum salary will also be increased to qualify employees as highly compensated and therefore have relaxed duties to meet the exemption. It will go up to $134,004, and it bonus payments and commissions cannot be counted toward that total. Salaries and nonexempt employees. Employees who are not considered exempt from overtime pay can still get paid a salary. They would just have to be paid overtime for any hours they work over 40 hours. Seasonal work. Seasonal employers are not exempt from paying their employees overtime just because they are not in operations all year long. The new rules say that employers must abide by the same regulations during the time for which they are open. That means that their employees must meet all the income and duties requirements in order to be considered exempt. Job classification. Employees must meet exempt status on an individual basis. Simply sharing a job classification is not enough to exempt all employees who do that work. The new rules do not change anything about the requirements for job duties or for salespeople. In order for employers to become compliant with the new regulations, they must increase employee salaries to the new levels, pay employees overtime when necessary, or make sure that their employees don’t work more than 40 hours in a week. If your company has not yet made the changes to comply with the new regulations, it is time for you to talk with a qualified attorney about what you need to do. 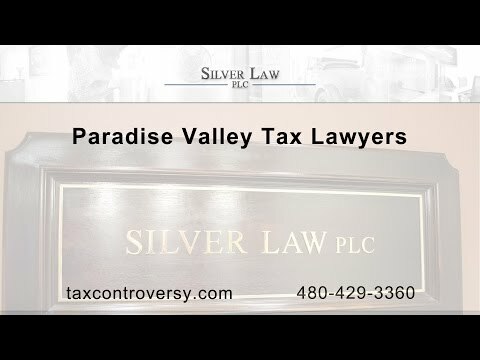 The attorneys at Silver Law PLC in Arizona can help you understand the tax ramifications for the law, such as how the changes will affect the payroll taxes you pay and how the amount you pay income will affect your own business taxes. A tax lawyer from our team will look closely at your business model and the number of employees you have and give you a detailed explanation about the financial and legal impact of the changes. Contact us today to talk with a tax lawyer in Paradise Valley.